That's right, for a limited time Rodel Sound Ltd is offering a FREE "lite" online music mastering service. We have a collection of beautiful sounding tube EQs and Compressors made by the masters of tone Tegeler Audio Manufaktur. 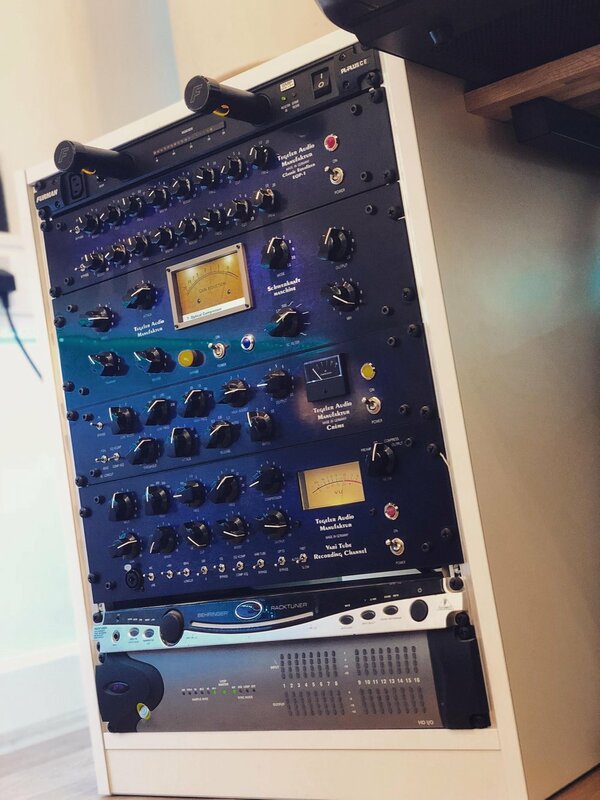 We feel these units are some of the best sounding analog studio outboard processors around and you can have one of your stereo mixes processed through these for free. This free online mastering service will enhance the tonality and presentation of your mixes. This free promotion does not apply limiting to your mix, nor does it provide you with a master ready for online streaming services. This promotion is offered purely an opportunity for you to have the tone of one of your mixes shaped through real tube gear ready for mastering. Below you can hear a before and after example of a mix that was processed using our outboard gear. How Can I Get My Song Mastered For Free? Mixes over 4 minutes in length do not qualify for this promotion. New subscribers are entitled to one free master per email address submitted to our newsletter. By subscribing you are giving Rodel Sound Ltd permission to occasionally email you news of our promotions. Your privacy is incredibly important to us - We will never share or sell your data with third parties. You may unsubscribe from our newsletter any time you wish. As this is a free online music mastering service we will not be accepting briefs. We will master your song using all our analog studio gear with a blend of our expert skills and creativity. If you have specific mastering requirements please either contact us to discuss your project or purchase one of our paid Online Music Mastering Services. Audio files forwarded to Rodel Sound Ltd will be securely deleted from our systems upon delivering your free master. Your masters will not be used in any of our future promotions. In order to confirm your free online music mastering please check your inbox for an "opt-in" email. Please "Opt-in" to our newsletter to confirm your free master. We will be in contact with you via email within 24 hours of signing up to arrange your free master. Please allow 4 - 5 business days for your free online music master to be completed and delivered back to you. We will not attempt to master you song If the audio is clipped in any way or limited beyond any reasonable amounts. Due to the popularity of this promo we are unable to email you regarding best practice for sending us songs for mastering. Sign-up To Our Newsletter & Get One Of Your Songs Mastered For Free Through Real Analog Gear - What Have You Got To Lose? A mix with plenty of headroom, give us some room to work. Please remove any heavy limiting or dynamic processing from the mix you want us to master. We are unable to process any songs that have heavy compression or limiting applied. Please refrain from sending audio files that resemble this waveform as we won’t even attempt to process it. Please forward your audio with headroom and dynamic range, mixes that look like this waveform.